The more technology creeps into our lives, the more the human touch matters. Your website, emails and the rest support the message, but the binder and the human touch support the messenger. 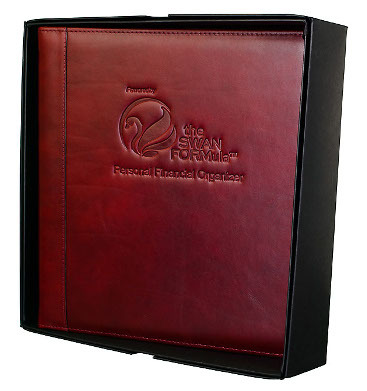 In the binder, you show them your full array of services. 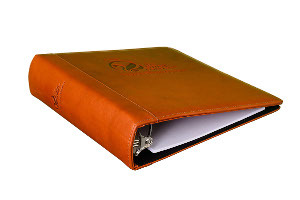 Not only does this binder competitor-proof and insulate them, it captures money in motion and uncovers hidden assets. It is also the tangible springboard to advocacy. 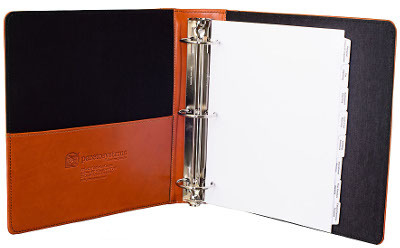 You can customize your PFO with your company name/logo and process name/logo in up to three places; the cover, the spine, and the inside cover - the last of which can include your contact information. Your tab set both outlines your full array of services and your process. It communicates to clients both what you do for them, how it connects to them personally, and what you can do for them going forward. Want more information on why tabs matter, and what exactly to put under each one? For more information about incorporating the Personal Financial Organizer into your client experience click below to schedule a call or place an order. Need help with implementation? Ask about our PFO Implementation Program. 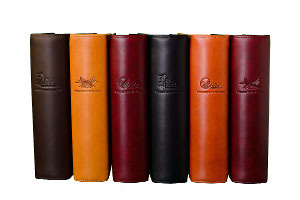 * No set-up fee for licensed brands - Set-up includes up to three dies for custom embossing. 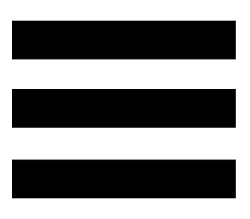 Alternatively, you can brand with the Pareto Systems Process logo without set-up cost. This is a step-by-step program that introduces Pareto Systems' strategy behind employing PFO's to attract and retain elite clients. This program will plug and play right into your existing client Review Process and your Onboarding Process for new clients. Your Pareto Consultant will help you to assemble your PFO's and develop your messaging to ensure you are effectively positioning the PFO to clients and strategic partners.